Located on a rustic alley in Glen Park, this 400 square foot studio over a garage encloses the backyard and defines an entry court from the alley. The building overhang and trellised wall provide a covered edge of the entry court. 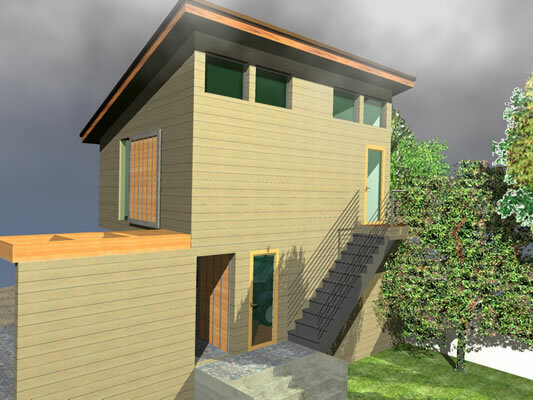 The upper story is setback on two sides to provide a wraparound outdoor terrace. A rolling shutter modulates a large west- facing window – when open provides views up the picturesque alley or allows privacy when closed. 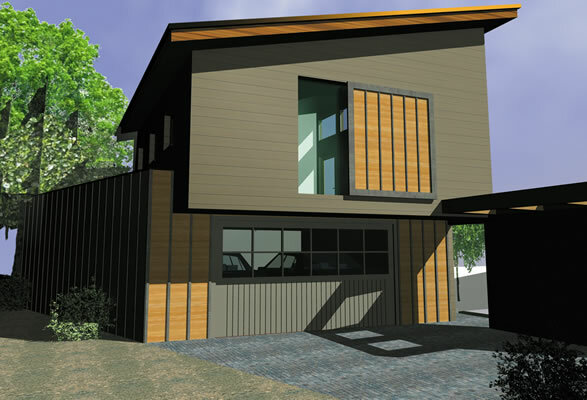 The composition of crisp forms is clad with materials inspired by the ad-hoc vernacular found along the alley.